The Pratt Institute initiative celebrated its first anniversary with an awards ceremony and open house on Monday night. 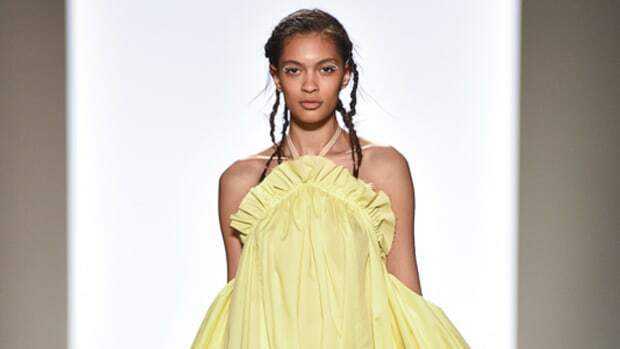 While it does have the most name recognition, the CFDA Incubator isn&apos;t the only program in New York that&apos;s supporting emerging designers. 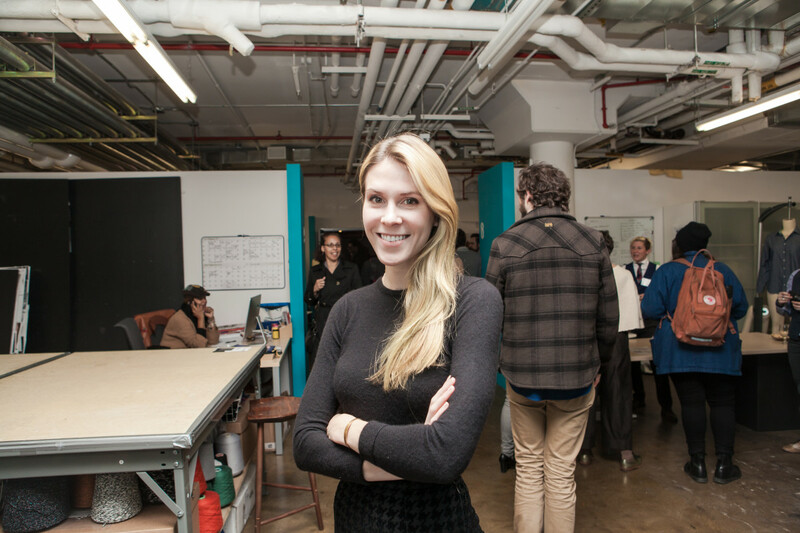 On Monday night, Pratt Institute&apos;s Brooklyn Fashion and Design Accelerator celebrated its first year running by opening the doors of its 21,000-square-foot workspace in South Williamsburg, Brooklyn to host the first annual Positive Impact Awards. The industrial venue provides mentorship, manufacturing resources and more to 20 "Venture Fellows" — young fashion, home design and beauty companies who all prioritize sustainable business practices. 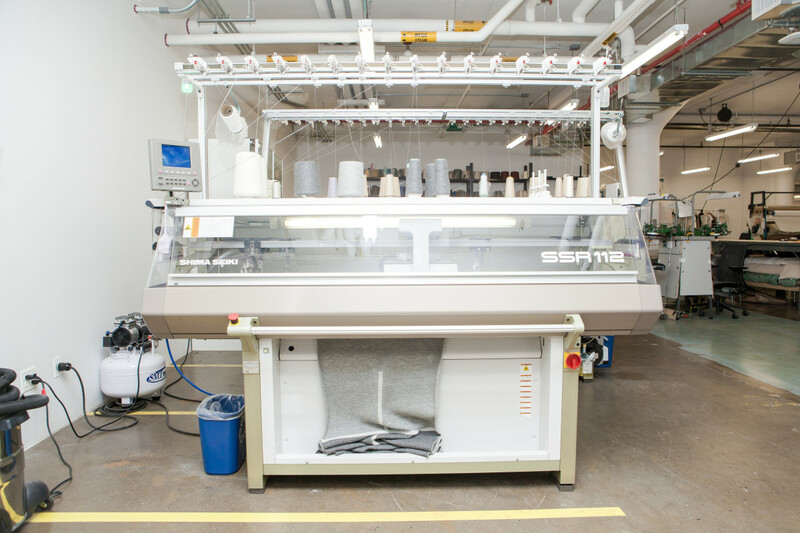 The program is funded by Pratt as well as both city and state funds, and it plans to be profitable in three more years by providing small-run knitwear and cut and sew production to outside designers. "[Our fellows] are growing faster than we thought, which is a nice thing, and moving out," said Executive Director Debera Johnson. "Where we thought we were going to have people [stay] two to three years, we now are thinking it&apos;s going to be a year or two before they are ready to move out and start on their own." How do designers know when it&apos;s time to leave? "They basically stop coming to mentorship meetings," she said, laughing. "They really don&apos;t need the [guidance] anymore, which is exactly what we want." The community of designers — even those who have moved into spaces of their own — is very close. Johnson said they have a Thanksgiving potluck meal planned at the next town meeting and several graduates returned Monday night to celebrate, including Alder New York, a beauty brand founded by David J. Krause and Nina Zilka, which departed over the summer. From the last round of 75 applicants, the BF+DA only made offers to two companies, said Johnson. "We always seem to have one or three spots open for people," she said. "It&apos;s about the right people who are going to help each other." Charlie Morris, designer of the menswear brand Fanmail, said the shared knowledge he&apos;s received from the community has helped his business grow. He joined the BF+DA in April, and even though he has several wholesale accounts — Opening Ceremony, Ssense, Mr. Porter, Need Supply and Assembly New York, for starters — he has no plans to leave the program quite yet. Not only does he want to avoid spending his profits on renting a space to work, he also believes he has a lot left to learn from his mentors. "I&apos;m sure I could find people who could [mentor me], but I&apos;d be paying them," he said. "Getting a place where I can meet with people on a weekly basis, have them check in with me and know who I am and not see it as a transaction is super important." Another venture fellow, Amanda Phelan of the womenswear label Phelan, is getting ready to move on. "We just had a new hire today; we now have a four-person team, which is quite exciting," she said. "But we are looking for our next step, which is just a natural progression. This has been a very positive, exceptional place to start." Phelan has been a part of the BF+DA for eight months and made her New York Fashion Week debut in September. "For the first few weeks leading up to the launch, having the support of this kind of community [was] very important." Phelan said meeting her production partner, Nadiyah Spencer, through a BF+DA connection has been the most crucial thing her business has gained from the experience. Morris and Phelan were two of three venture fellows honored with awards on Monday — for entrepreneurship and design innovation, respectively. The BF+DA also took the opportunity to honor journalists, activists and designers from outside the program&apos;s immediate community for their efforts to further sustainable practices around the world. These honorees included designer Eileen Fisher, Lewis Perkins of the Cradle-to-Cradle Product Innovation Institute, Linda Greer of the Natural Resource Defense Council, "True Cost" director Andrew Morgan and Newsweek reporter Adam Matthews, among others. Each award winner received an alpaca and merino wool scarf that was knit in the BF+DA&apos;s own production facility, using a massive digital machine that kept humming in action throughout the evening as fellows, students and supporters filtered in and out with cocktails in hand. It's equipped with everything from computerized knitting machines to 3-D printers, all at the disposal of 30 design startups. 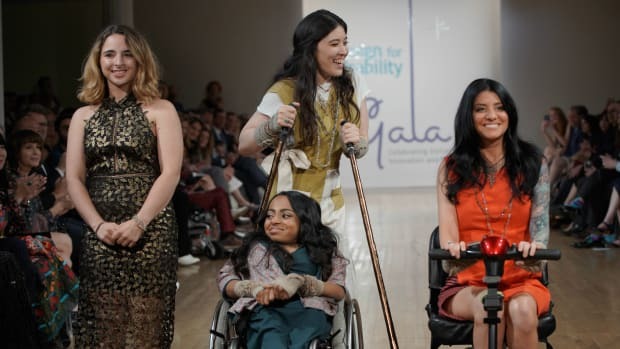 The designer worked with students from Parsons School of Design, Pratt Institute and the Fashion Institute of Technology to create collections that reflect the unique physical needs of people with disabilities. When Hamish Bowles presented Thom Browne with the Pratt Fashion Visionary Award at last night's Pratt Institute Fashion Show, he brought up Michelle Obama's choice of a Thom Browne coat on Inauguration day, calling it a "life-changing event" for the designer. Browne wouldn't disagree with that sentiment. The special presentation also honored designers Laura Kim and Fernando Garcia with the Pratt Fashion Visionary Award.